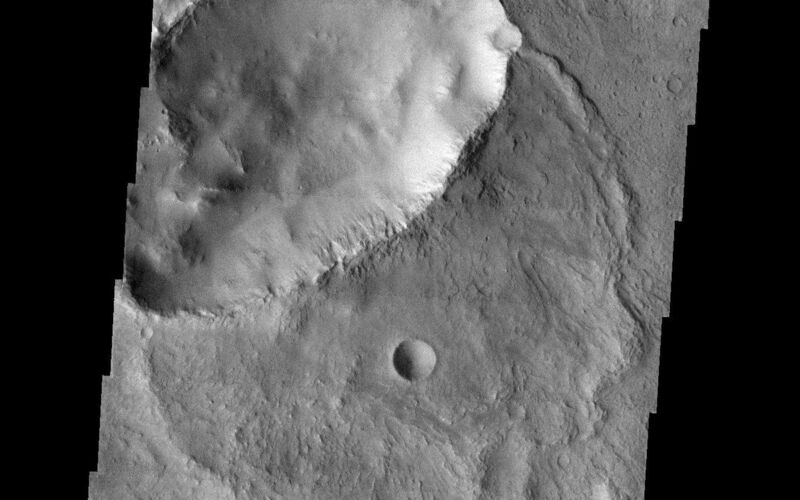 In the heavily cratered southern highlands of Mars, the type of crater seen in this THEMIS visible image is relatively rare. Elliptical craters with "butterfly" ejecta patterns make up roughly 5% of the total crater population of Mars. They are caused by impactors which hit the surface at oblique, or very shallow angles. Similar craters are also seen in about the same abundance on the Moon and Venus. Image information: VIS instrument. Latitude -24.6, Longitude 41 East (319 West). 19 meter/pixel resolution.